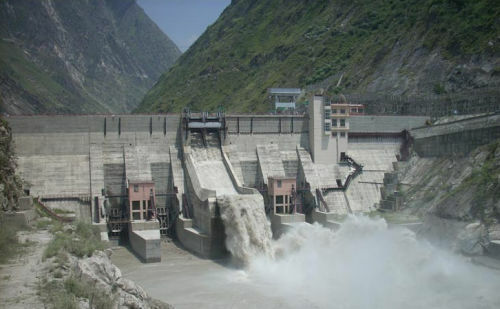 With over 6.3% increase in electricity generation from its flagship 1500 MW Nathpa Jhakri Hydro Power Station, public sector SJVN Limited has recorded 8.5 percent jump in the PAT (Profit After Tax) during the three quarter period of 2013-14. The profit after tax of the company increased to Rs. 969.80 crore from Rs. 894.36 crore earned during the corresponding period of last financial year. For the 3rd quarter period (Oct. – Dec., 2013) also the profit after tax has increased 9.8 percent from Rs. 192.06 crore to Rs. 210.93 Crore, against the corresponding quarter of last year. While the company’s total revenues increased from Rs. 1468.81 crore to Rs. 1561.54 crore, the PBT (Profit Before Tax) grew 9.59 percent from Rs. 1077.29 crore to Rs. 1180.64 crore. Resultantly, the company’s EPS during the period April to December, 2013 has increased from Rs. 2.16 to Rs. 2.34. The financial results of the company were declared at a meeting of the Board of Directors held at New Delhi on 07th February, 2014. 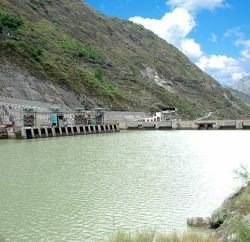 During the period April to December 2013, SJVN’s 1500 MW Nathpa Jhakri Hydro Power Station generated 6564 million units of electricity which was 6.3 percent more than the 6172 MU achieved during the corresponding period of last year. 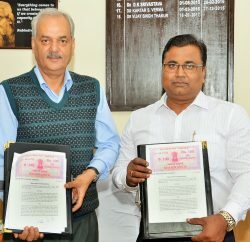 In terms of the MoU, Nathpa Jhakri Hydro Power Station is scheduled to generate 6875 MU of electricity during the financial year 2013-14, while it has already generated 6820 MU till date which is 374 MU more than the MoU targets of the period. 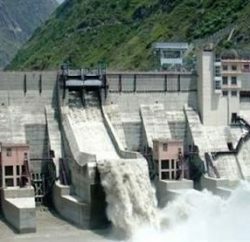 In recognition of its meritorious performance during the year 2011-12 and 2012-13 India’s largest 1500 MW Nathpa Jhakri Hydro Power Station was recently awarded ‘Bronze Shield’ and ‘Silver Shield’ respectively by the Ministry of Power, Government of India. This was the successive third year that the performance of the Nathpa Jhakri Power Station had been acclaimed and awarded. Earlier, for the year 2010-11 the power station had been awarded ‘Gold Shield’ by the Ministry of Power. Declaring the financial results R.P. Singh, CMD revealed that SJVN was heading for a 10,000 MW capacity implementation after the signing of MoU for developing world’s largest 4000 MW Solar Power Project in Rajasthan. He further told that SJVN’s 412 MW Rampur HE Project in Himachal Pradesh was also likely to commence generation during the current financial year, while its 47.6 MW Khirvire Wind Power Project in Maharashtra had already commenced generation.